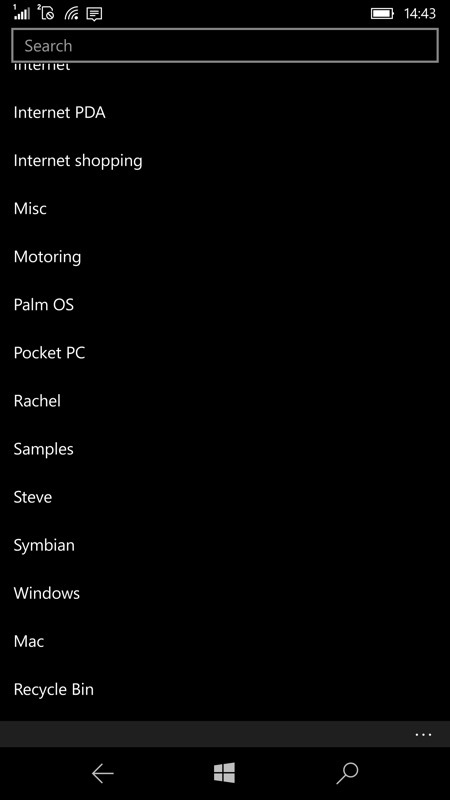 I'm in two minds as to whether I want my secure database app on Windows 10 Mobile to be a 'reader' or a full editor (and with syncing). For the latter, I'd have full adding-on-the-fly facility. 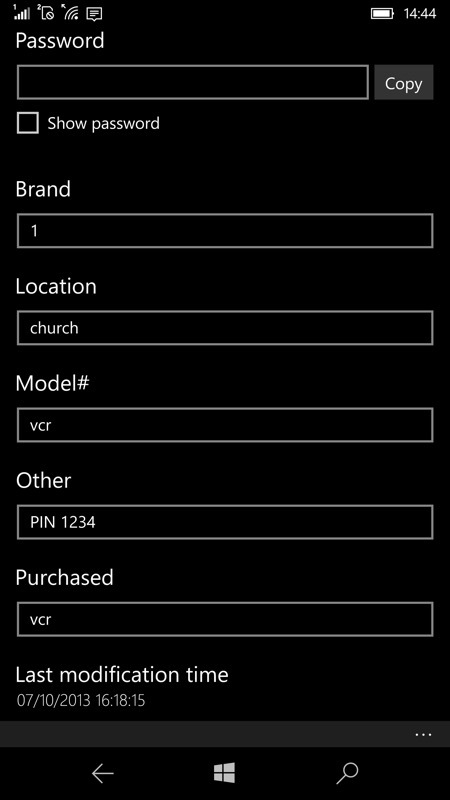 On the other hand, with the former I get peace of mind that a potentially immature Windows UWP app can't 'mess up' the intricate data in my master Keepass 2.x data file. KeePassReader, as the name suggests, is the latter and works surprisingly well. In this case just for reading and displaying the data. 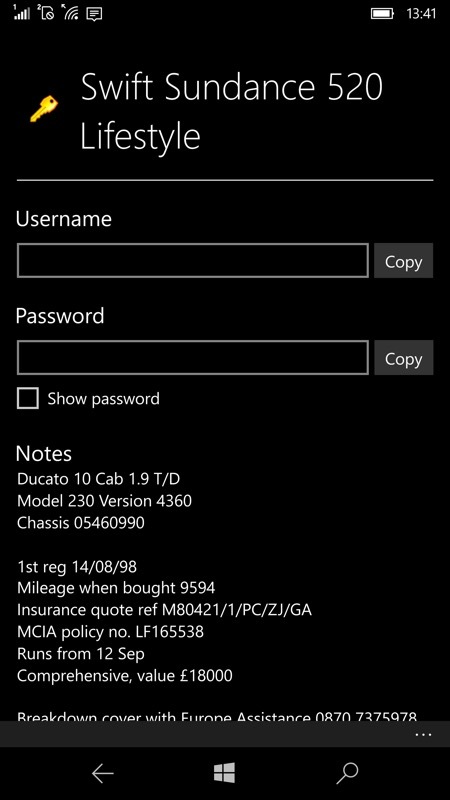 Which, most of the time, is what you want, though there's obviously the odd occasion where you need to make a change to something while mobile and end up having to temporarily put it in OneNote or even write it on a bit of paper. Hey, I never said this solution was perfect. At least not yet - one imagines that the developer could extend this application into a full editor if there was enough support. 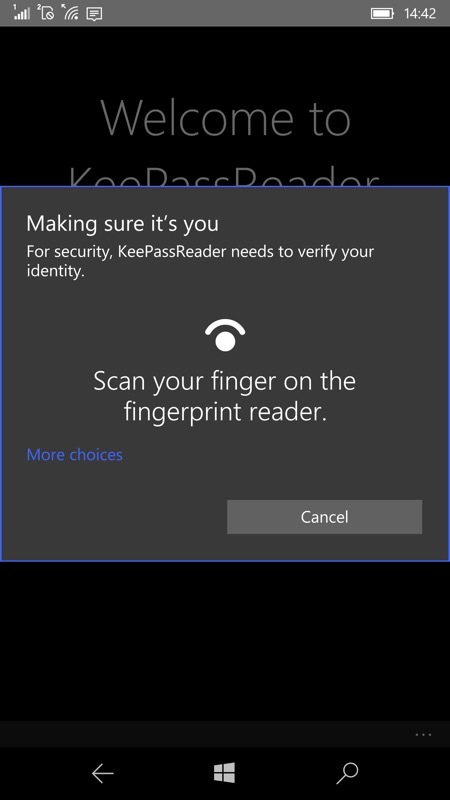 Impressively, KeePassReader works with Windows Hello, though curiously on my HP Elite X3 it insisted on using the fingerprint reader - maybe it uses the primary biometric method registered on each device? 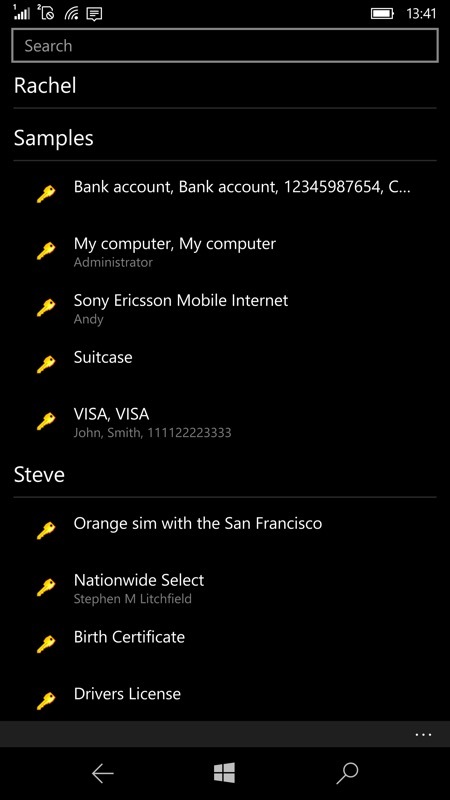 On the Lumia 950 and 950 XL it uses the iris recognition quite happily - both are very cool ways into a master password and personal info store. 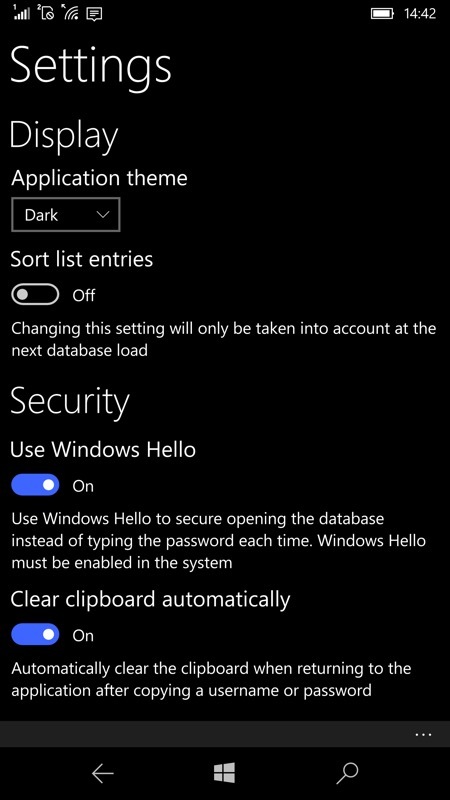 The biometrics support is optional, of course - you can always enter your master password instead to open up your secure database. It's not at all Web-unfriendly though. 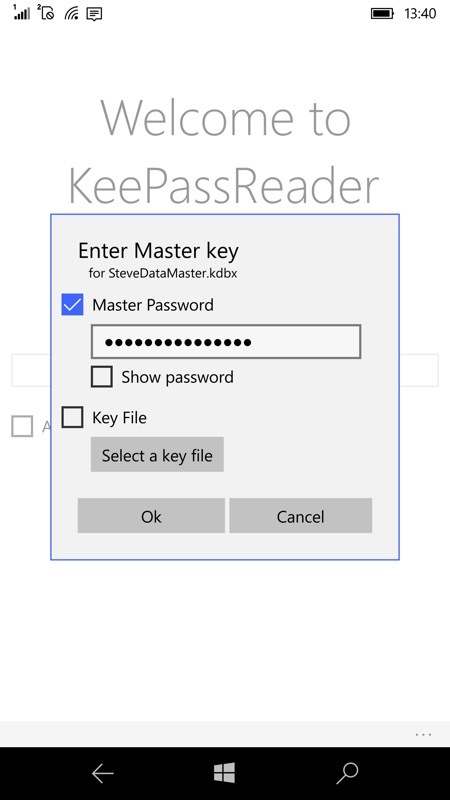 One of the unique features of KeePassReader is that, in addition to the full 'Details' view, tapping on any entry also pops up a shortcut to copy any username or password - in this way you can paste each into a web site or other application by toggling between it and KeePassReader. 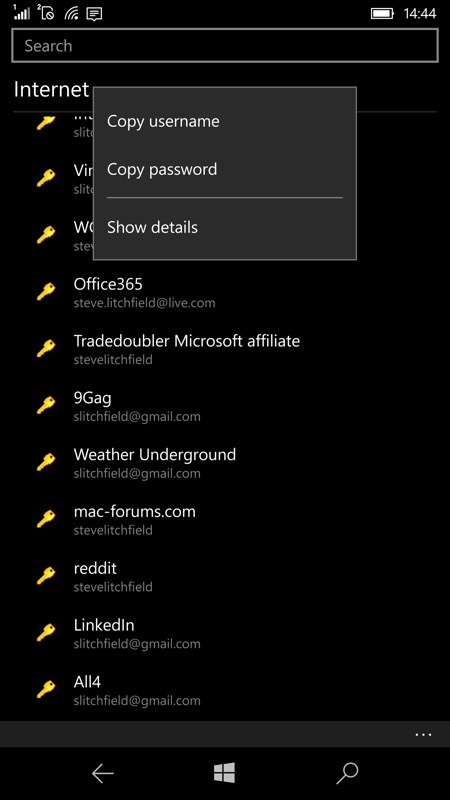 In addition, tapping any of the category titles also collapses the hierarchy, letting you browse to a different section quickly (this is standard Windows 10 UI convention, you'll have seen the same in other apps, not least the AAWP Universal one, when viewing any of the special 'directories'). KeePassReader may be a halfway house in terms of functionality, but it's an extremely polished one. 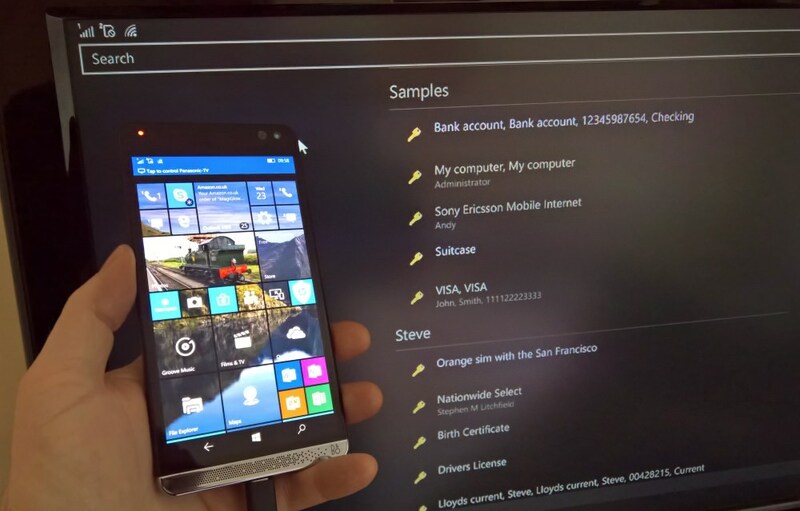 You can grab this free UWP app here in the Store.